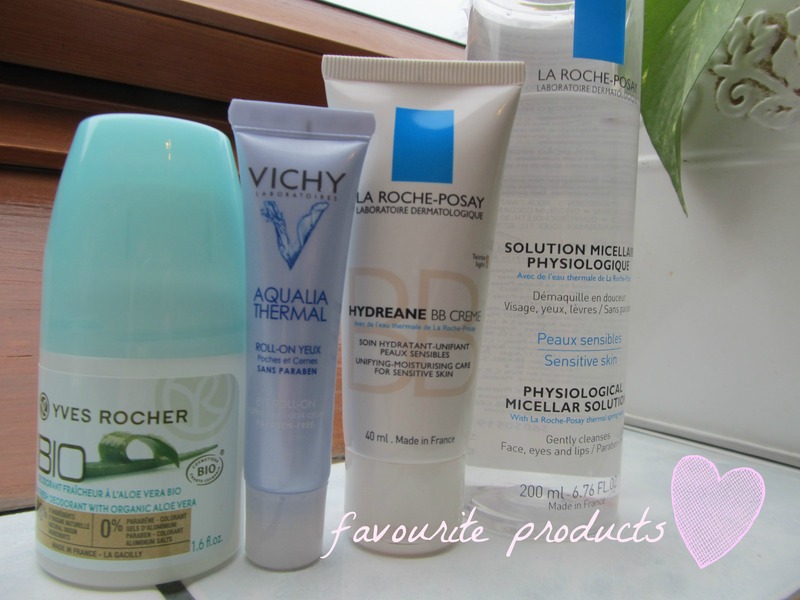 Today I ‘ll test two kind of BB creams- Garnier vs. La Roche Posay. I bought my first one for like a year , but I also forgot about it and didn’t used it. Now I bought for christmas another one and I’m crazy about it. It has got so much advantages, it is a good moisturizer,foundation,sunblock and powder. It’s a super all-in one facial product. The name is coming from : “Blemish Balm “. It has been used only on the Korean and East Asian markets, but now it is avalaible in all of the countries. Yeahhh! Usually all brands offer two shades of their BB cream and for different skin types. I’m using normal or sensitive, and the lightest tone of them. In this test definitely the winner was : La Roche Posay, I like the colour, the way how it covers .Unfortunately it cost more than the Garnier one. The only thing that disappointed me was the covering of red areas. Both of them failed at that point. I recommend all of you guys to try this awesome product, it’s a must have piece in your make-up kit. We decided with Ili, to prepare a few kind of makeups for you guys. Just because it is not a great idea to shoot outside, when you non-stop cough. So just to bring back the summer, we prepared a very simple eye-lining, but it consists 4 colors (different shades of blue and green). First I thought, that green won’t match to my blue eyes, but fortunately it isn’t true. This will be a post that lot of you guys requested to do. 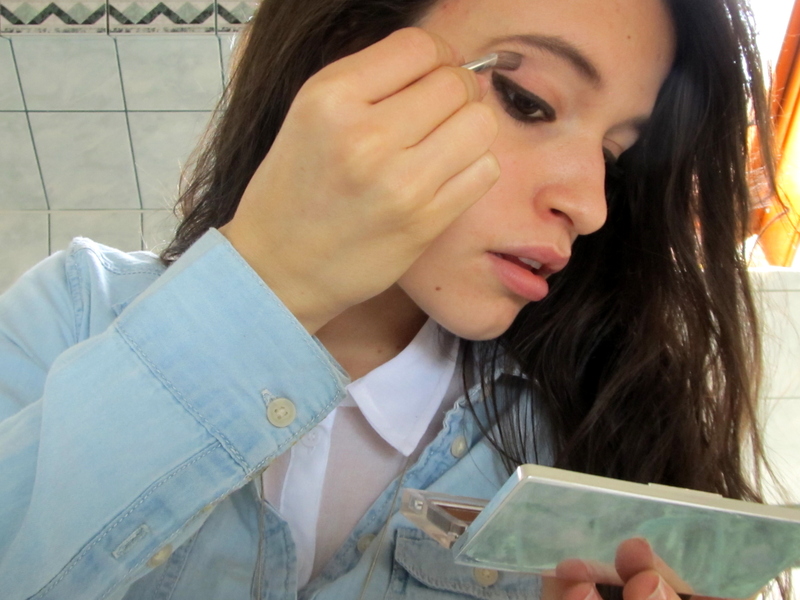 It’s about my everyday make-up routine. Lets start with the products , that I use actually every single day, to create the perfect look for the day. I always start with applying a concealer under my eyes, to avoid that heavy-eyed look. When I have some problems on my skin, like : spots, I use a cover stick foundation, that can be applied directly from the stick and just blend it with your fingers. I don’t love so much using a foundation, because I’ve never had skin problems, but when I should, I choose a BB cream and after it a translucent face powder. After that I love to use my eyeliner. I use also black and brown one, it depends on my mood and of course how dramatic I wanna be. ( I also recommend gel eyeliner and eye pencils ). For beginners I recommend to buy a harder pencil, because that’s the easiest to use. Gel eyeliners need some time, to learn how to use it in a perfect way. For my eyes and faceshape it looks much better to highlight all over my eyes, to create a frame. I don’t really use any eyeshadows, just when I go out. I use a black mascara that gives a much longer look to my lashes. To highlight my eyebrows I use under them a basic white colour, you will see the difference how much your face changes. For perfectly designed eyebrows, you should fill in the gaps with an eyebrow designer pencil, I use for that a brown one. It has a cute brush on the top, that will help you fade into your real eyebrows . To underline my cheek bones, I use a blusher, it’s important to use a little bit on your T-zone also. To end my look, I pick a lip pencil and a colourful lipgloss.